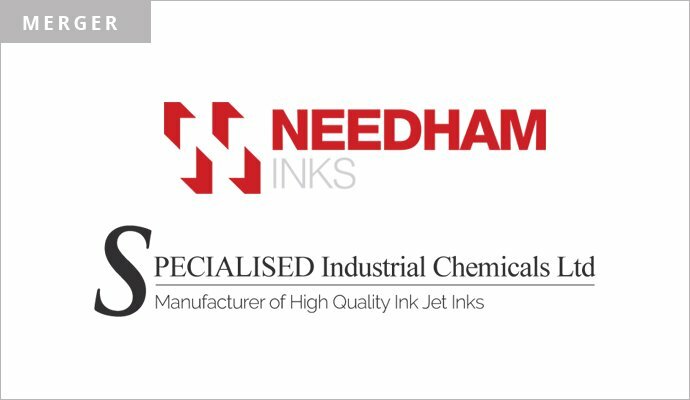 NEEDHAM Inks has announced a merger with Specialised Industrial Chemicals (SIC), which has been tipped to expand on their ink solutions for the coding and marking and digital ink sectors. Needham Inks and SIC have worked together on research and development projects for over 20 years. By merging the two companies, Needham said they combine their ‘core strengths’ to ensure they remain at the forefront of ink technology and offer ‘even greater service and support’ to customers. Managing director Aled Ellis said, “We have been manufacturing ink for 50 years and have had a close relationship with SIC for almost 25 of these. SIC brings a wealth of R&D experience and knowhow to Needham Inks and we are extremely proud and excited to welcome SIC to the Needham family.